Its maybe not that evident from the photo, but the wind was generally at the top of Force 2, so it was very respectable. 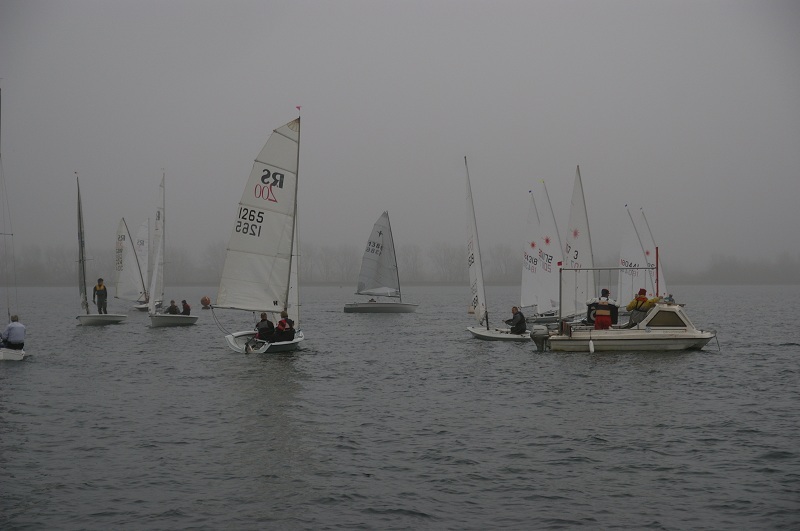 Gareth Griffiths won the pursuit race in his Solo, Nick Mason was 2nd in a Phantom, Julie Harrison 3rd in an RS200, Mervyn Lipsombe, (Solo), 4th Richard Barker (Phantom) 5th., and David Ryder 6th in a Fireball. 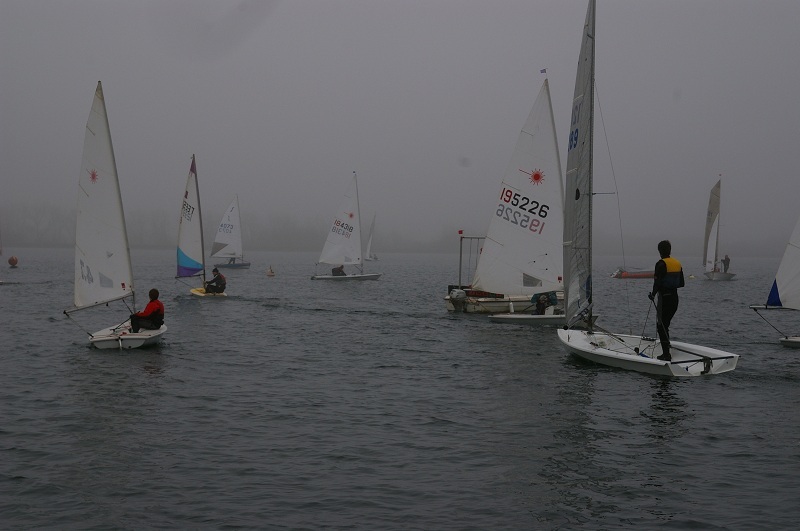 A number of club sailors were seen packing their boats up to travel up the road to the Bloody Mary next week, so keep an eye open in the results for how they get on.